Today marks the first post of a series I have been wanting to do for a very long time, but was afraid to begin. It’s just not something I’ve done before. And doing new things is always scary. But I feel very passionate about the journey of finding your voice. 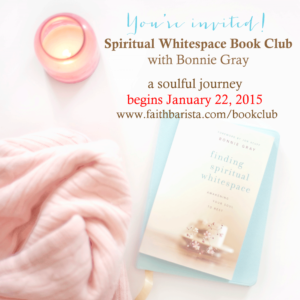 Because I actually wrote my first book Finding Spiritual Whitespace: Awakening Your Soul to Rest while under extreme duress — at a time in my life I would have NEVER chosen to write a book. Panic attacks, insomnia, anxiety did not stop for over a year. I thought I was doomed to fail. 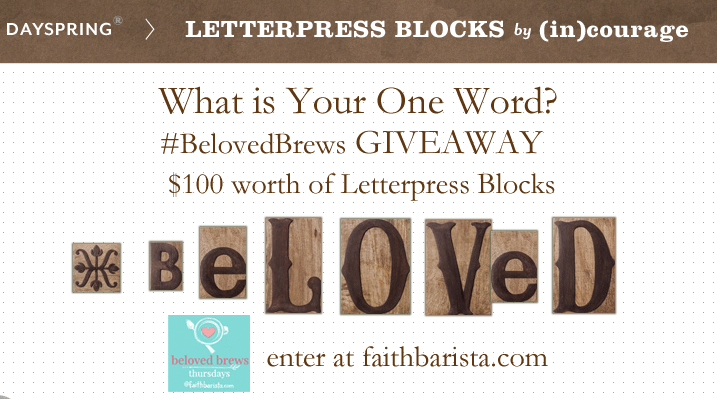 I was only able to write it because I found my voice with you, in our Faith Barista community. So, out of gratefulness for you, I want share all the things I’ve learned on this long and hard-fought journey to find my voice. To be the real me. Before I share my first Finding Your Voice Tip, I want to show you a video. While I was hiking one morning around new year day, I stopped two passer-bying strangers to ask them if they journal and why they did or didn’t. Then, VERY SPONTANEOUSLY, unprompted, the topic about why writing is scary surfaced. 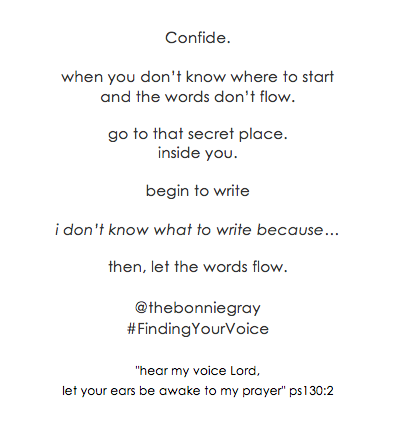 I want to share these Finding Your Voice posts because I whole-heartedly believe the encouragement I received to find my voice will speak into your life and your journey with God. Because what I learned about getting unstuck with writing my book applies to our journey in life with God. Because finding your voice is not just about writing. Because finding your voice is something we all long for. Finding your voice is about being who God created you to be. Finding your voice is about living your story. As is. And discovering what God may be saying to you in the moment. The writing tips I’ll be serving up aren’t about the nuts and bolts on the craft of writing. There’s lots of amazing experts already on those topics. 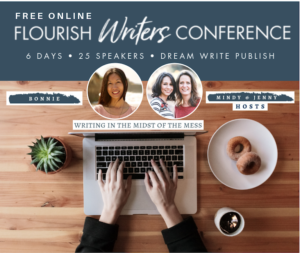 I’ll be serving up spiritual encouragement to find your voice through writing with God. I’ll give a soulful tip & a Bible verse that inspired the tip. Although the tips may be about writing, you’ll find that they apply to however you express God’s voice in you — whether it be through drawing, painting, photography, dancing, music, crafting, baking, decorating or any creative expression. Finding Your Voice Tips inspire you to be you. Why is writing scary? A FASCINATING Conversation! This is a hard thing — finding your voice. It’s scary — not just for someone who has PTSD. Writing is scary for everyone. Today’s Finding Your Voice Tip was inspired by the girls I met on a hiking trail one morning. Writing is scary because it is organic. It’s live. You can’t control what comes out. Maybe we get stuck because we’re afraid of what would come out, if we stopped to let our pens flow or fingers type. It’s much easier to just get things done and be disengaged with our heart. But, this is the thing, God speaks to us in our hearts. And that’s we need to go, if we want to find our voice. here is one thing I do to finding my voice. I stumbled on whole-hearted writing by accident. During my journey through PTSD, all I could do was confide in you about the journey I was on, unguarded. You didn’t leave. Instead, you shared your stories. And stayed. If you’ve ever dealt with anxiety, depression, grief, heartbreak, or anything that sidelines you from everyday life, you understand that there is no timetable for recovery, healing or getting over it. The heart has its own roadmap and we must be a willing pilgrim on that journey if we are to travel through it. And so, there I was in limbo. Except once a month, I’d crawl over to my keyboard, panic-attack riddled, shaking, heart pounding, I would write to tell you what was happening to me. I would confide in the unexpected and disorienting journey I was on. It would literally take me a month to write those posts. Because I’d write a little and stop. I’d hit a fog of blank nothingness. my fingers would grow cold. And I’d start having trouble breathing while sitting there, my brain and heart numb. And this is the amazing thing. I found I could only write if I simply confided in the unexpected journey I was on. As is. What came out was not what I wanted to share if I had any choice in the matter. 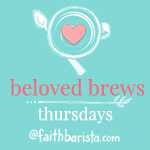 If I tried to write my in my old “Faith Barista blogger” voice, I would have panic attacks and get so scared and upset (even though I didn’t know why). I literally would have nothing to say. But, if I just wrote what was happening to me — from my journey as is — the words would come. Not a lot. And not even in the voice that I would choose. Then one day, words started unexpectedly flowing and Finding Spiritual Whitespace was birthed. 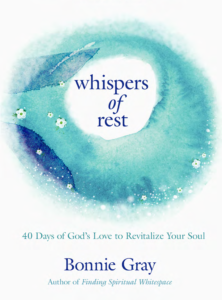 I never would’ve guessed that the book that garnered Publisher’s Weekly’s coveted starred review and a PW author profile, selected as one of the Best Books for Christian Women in 2014 — would be written this way. By confiding. It’s scary to write, but it doesn’t mean it isn’t beautiful or worthy. In fact, when it’s scary, you’re standing closer than you ever have before on sacred ground: your heart. Write. Hit publish. As is. Did you enjoy today’s post? 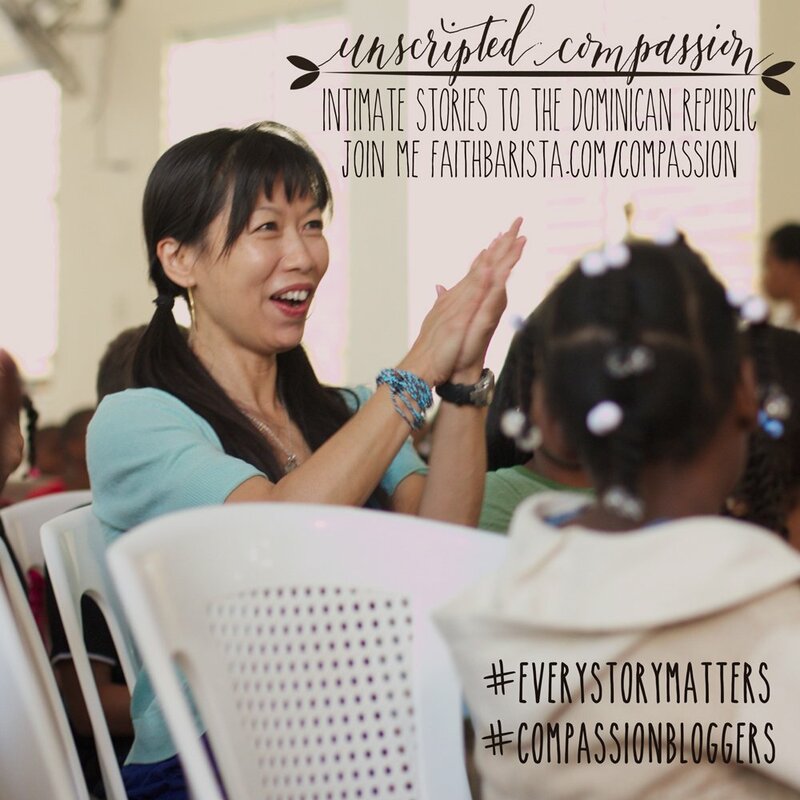 I’d love to know if this series speaks to your heart. Share any thoughts or questions. Pull up a chair. Click to comment. You know I love to hear your words. This is the community where I found my voice. Write as the Beloved. Be You. 3) Visit & comment on the post before yours. Saying hi refreshes the heart when you feel heard. Today’s 1/15/15 Writing prompt: What is your One Word for 2015? Order a copy of the book & Get your journal ready! The topic is interesting. I recently started journaling again and have found that I have two journals. One is for life stuff and the other is prayers and thoughts on scripture or devotions I read. I occasionally feel that bloggers have more important words though. I guess because you were brave enough to publish your words on a blog. I am not sure if you meant for your tips to be for bloggers or just average people. Thank you for sharing with such candor. Bless you. hi cathy, i think you’re brave for writing! whether it’s a journal or blog, it doesn’t matter. these tips are for finding your voice — so we can grow closer to God and share the deepest part of ourselves and to live the stories taking shape in us. however we express those words. your words are just as important as any bloggers. maybe EVEN MORE, because what God cherishes and treasures is what we share with Him. I love your posts. Don’t stop. I also identify with what Cathy said about us average people. I journal off and on because I get rushed and forget to slow down and breathe. I am aiming to journal daily. Usually I write poems. Thank you for your honesty, it helps. I can hardly believe – except when God is trying to get something across, He knows how to do it – that just yesterday I was writing in my journal about things I had been longing to do… One of those is to write and what I was writing about was my fear of actually sitting down and doing it and going further to seek publication. Then your amazing post comes… My eyes opened wide as I read. Thank you so much for this new series. For your willingness to share from your heart. I feel as though we’ve been on a similar journey, you and I. I’ve been ‘stuck’ for the last year…after facing some old demons from Nov 13-Jan 14. Not that they fit into that timeframe, but that was the most drastic time. If you’d like to read a few of the ‘confiding’ posts, you can find them here: and here: . After which, my health took a major hit. No doubt the culmination of dealing with that PTSD, that extreme shame, along with the stress of dealing with aging/alzheimer’s issues with my in-laws (helping as caregiver). Since then, I’ve had a hard time finding my voice. I used to write ‘inspirational’ posts, I used to write funny stories, and I used to blog about recipes and decor. All of a sudden it felt so inconsequential. And then I’ve let my sister’s opinions of how I should just ‘be happy’ and stop talking about health issues affect my desire to write. For a long time I couldn’t just ‘be happy’…I was in a state of depression that ran deep…and talking about my health issues helped me deal with them and the fact that there were 12 new diagnosis in 2014. Nothing life threatening (thank you God), but very life changing. I so appreciate your post today. I have a 3 part story (draft), that I had written last year. Maybe it’s time to hit publish. It’s called 4 Angels and a Cigar. It’s the story of getting my health issues diagnosed…a special series of events and recognizing some very special angels along the way. I think I’ll hit publish today. Thank you for guiding me to courage. God is surely working through you to bless others. Thank you for being open to Him. appreciate your sharing, Patty. hit publish. as is. just because it’s you. and God. and it’s your story. simple. you’re loved and accepted. God loves being with you this way. Well, here it is! I did it (ok, in all honesty I revised a little). And I didn’t trust myself or maybe didn’t trust my life enough to publish just the one without having the rest of them ready to go too, so I went through them all. I even added one so now there are 4 parts! Thank you again – for your inspiration. I can’t tell you how much I appreciate not feeling afraid to use my voice (blog) anymore. Shame is a terrible and powerful thing. Sharing strength among friends and praising God along the way is empowerment. Bonnie I can’t tell you how much this speaks to me. God told me this is the year to find my voice. Thank you so much. You are helping guide me on this journey and keeping me on top of it so I don’t slide. beautiful, Lauren. and even if you slide — because we all do — God will hold us. He slides down with us and loves us right there and we are never sliding out of His kindness, goodness and acceptance. we are never sliding out of His love for us. it just looks like sliding to others and maybe ourselves. but not to God. find your voice. you can do it. it’s a journey. don’t give up. As is… I am learning also, yet finding time to just be is hard enough. Snatching moments on my lunch break is the only time I get alone with all that is going on. I no longer lead or even attend my recovery group. I work every Sunday. My days off are spent with dr appts.for my spouse. Good morning Bonnie, first off I just love reading your posts. In today’s post you had a video but I couldn’t activate it. Also you talk about writing, and like you it’s hard for me to get motivated. There’s really nothing for me to write about and that’s the honest to God’s truth. I don’t journal either. There were times when things would just pop in my head and I’d write them down. At times they would be poems or just plain silly stuff depends on the situation. But for the most part I don’t write. I have to be in the right frame of mind. You know in the right mood. Well Bonnie I hope you enjoy the rest of your day and may all your whitespaces be blessed. Always remember that Jesus is crazy about you and me too. I agree with Sandra’s comment that this post is perfectly timed. I have fifty pages of a book written but I haven’t touched it for months. There is fear of where to go from here. I made a life map poster two nights ago and on it were the words “my voice.” I know this is the next step, finding my voice. Responding to Beth’s comment- I am a huge journal writer but there was a time in my life that I made myself do it to release the stress in my life. Perhaps choose five minutes a day and just write about anything. Thank you Bonnie for this post. You are giving me tools that will certainly help me to use my voice in a real sort of way. I have held on to my blog for over a year, believing that a day would come where I could begin again. Thank you for helping me with that. Also, the video was wonderful. How brave of you to ask questions of total strangers. We never know what treasures we are just walking by! Your blog took my breath away, and captivated my heart. Surely you must have read my journal. 🙂 While I enjoy journal writing that is beyond tracking day to day events, there is something in me on a deep subconscious level (and I am no therapist) that either panics at the thought of penning from the deep recesses of my heart, or simply shuts down when I want to do this. I have been more deliberate in journaling with meaning and purposeful since I discovered God has created me to write. I long to write out of the heart of God and make a difference in peoples lives. The end result has been vivid pictures with words. Your comment about fear of what might come out when we write really resonated with me, a struggle I haven’t been able to identify. I thought my challenge was simply due to my limited skill set as an aspiring writer but it’s not, it’s the internal stuff like, fear of what might come out. Thanks for sharing this nugget of nourishment for the next step of my journey! Look forward to being in touch. ‘Love this first writing tip: confide, beginning with “I don’t know what to write because…” Writing is an exercise of trust. As we put pen to paper or fingers to keyboard, we have to trust that God will be right there with us, guiding and inspiring our words. Writing is also an exercise of discovery (which you mentioned in the video, I think), because we never know where our words will take us. Thank you, Bonnie, for sharing out of your own experiences. I look forward to more writing tips! Thank you for being brave, it’s a model I need. I’m reading Let’s all be Brave now and tracking with the Bloom book club from last fall (when I had no time) and that’s why I’m applauding your brave. Also, the write. Hit publish. As is. spoke to me. I used to do a Five Minute Friday where we were to write for five minutes on a subject and not edit, just publish and link up. But that’s fallen by the wayside. I think my writing gets crowded out when my life gets too busy. Journalling on paper is the last, a safety net for when I need it, or a note taking place I can return to, so I often have a journal by my bed, but sometimes I have one for a specific purpose and all the lovely blank space is too tempting to just look at and not mark. Like virgin snow. Sometimes when it snowed I left off marking it up, watching to see how lovely it was, and then a bird or renegade squirrel would come make tracks and my feelings were ambivalent. The beauty of fresh fallen snow is transient though, and the blank journal is made to be used. I was given a blank journal for Christmas and a matching mug. The mug has seen more use! But I am thinking to use the journal for this special year, for encouragement in finding God’s blessings as I rest in him, Sabbath. Could it really be our year of Jubilee? I am really looking forward to the book club. Thanks for leading it. This was so interesting, Bonnie. Love that video, too. And the meaning of that word – “sillage.” I often journal in my head, and my fingers are even itching to go and write them down, but for some reason I don’t always do it. This post makes me reflect as to why I so often don’t. I think I hold back sometimes out of fear that maybe someday someone will read them, and what if I write something that will hurt or upset them. I seem to always be guarding certain areas of my heart. When I do journal and really “confide,” it’s so releasing and helps me to process things. I used to always journal . . but 5 years ago my life was turned upside down… and I am still struggling to deal with all the hurt, the brokenness, the unanswered prayers, the road I have been thrown on. and I am weary, I have had to live superficially – to survive. to minister to others. and I have been afraid to write. to confront the hurt, to figure out my feelings. to accept the NO from God. to deal with my inner anger. to deal with others and how they have reacted. it seems all my creativity that once gave me energy is gone. I don’t know how to find me. the one whose life was greatly altered. you are brave, Bonnie. you have ministered greatly to me. the trials of these past years are exhausting. I love God. I. know. He loves me. but beyond that I struggle…. but I get through each day one step at a time. it is easy to be honest here, because no one knows me. sometimes it is hard for me to be honest with myself. thank you, Bonnie for giving me hope. I am so glad you’re sharing this series! Your book and blog posts have been so encouraging to me as I’ve been on my own journey this past year of healing from PTSD. Before starting this journey, I would occasionally journal when something would inspire me, or if I wanted to remember the details of a particular event. But during the past year, my journal has become my constant companion. It’s almost as if the emotional pain compels me to get my feelings on paper, and by doing so, they somehow become more real and I’m able to process them better. As you mentioned, I am often not aware of what’s going to come out until it’s there on paper. I’ve also noticed how God is leading through the journaling. As I periodically review my entries, or if my memory is pricked, I sometimes notice Him leading in new areas of growth. It’s become a wonderful way for me to discern His movement in my life. My words for this year are “receive” and “abide” in His love. I am learning much about His perfect love that casts out fear, and He’s teaching me how to rest and “receive” that love (and not panic!). 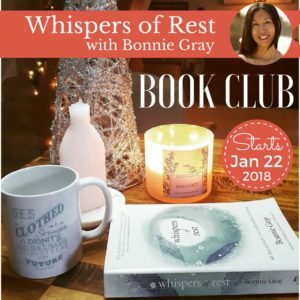 Looking forward to the book club and to more writing tips! I think this is a very important topic “confide”. We all need someone to confide in. It may be the Lord, it may be your spouse, or it may be that very special trusted friend. Something inside us seems to start to heal when we can share with someone else what is on our heart. Many years ago, out of the blue, I felt ‘blue’. I had no reason. I had a wonderful hard working husband, 3 great children, and we had our dream home out in the country. But I felt like crying. My husband came home from work and we went out on the back deck and I shared with him that I didn’t really know what was wrong and didn’t know why I was feeling like this. He just listened and didn’t try to ‘help’ me feel better or give me any suggestions – he just listened. I just kept talking and after maybe a half hour or so, I felt better, much better! Then the feeling was gone just like that. I got up, smiling and happy, and went in to make dinner and was absolutely fine! Now I know that doesn’t happen to everyone, but it did to me and it was like a miracle – no, it was a miracle. But with some, it may just be what they need to do to start the healing process. I’ve had bouts of ‘blue-ness’ or mild depression over our 40 years of marriage, but never again was the ‘healing’ quite as miraculous as that day on the back deck. But God is always our Healer. And we always have hope in Him! Bless you as you bless others. I’m looking forward to taking this journey with you and others. I’m almost 60 and although I’ve been a Christian since I was around 7, I lacked the willingness to be truly deep in the word and to truly trust leaders in ministry. I was a regular attender of church and I’ve led worship, been on church boards, taught bible studies, led womens ministries…and the list could go on. I’ve shared pieces of my live through those avenues such as My dad was an abusive alcoholic, I was a sufferer of bulimia and I was sexually abused as a child. I was never given a diagnosis of PTSD but I’m sure if i had ever been evaluated for it, I would have been. I am an RN with a bachelor’s degree and my husband is an addictions counselor at our local university. This past year and a half however was the worst time of my life. I had left my church that I had been attending for over twenty years because of an insensitive and judgmental pastor and an inability to resolve our differences. I did try. I grieved for months to the point of becoming ill. Then this past summer my sweet, good natured, and responsible son of nearly 40 years tells me he is an atheist. WHAT! HOW COULD THIS HAVE HAPPENED? All I could keep asking myself is: “Why do I keep failing”? and, “How can I save my son”? I need to go deeper with God. I need this journey with you. I’m learning 🙂 learning to entrust God to speak through my heart, and believe that the outcome is in His loving hands. I love that an online community can be built over sharing stories, and I’m just so thankful for your *every* post, and your honest sharing. It’s incredibly inspiring! Write. Hit publish. As Is. I think that’s what God’s trying to show me during this season of my life. Stop editing myself so I don’t risk offending others and just be who He created me to be. Thank you so much, Bonnie, for the encouragement you give in doing that! “Listen” is my word for the new year. I need to learn to spend less time talking to God and more time listening. Like you, I love that time after Christmas when I can pause in the lingering bit of light of one year just before the dawning of the new year. I like to pray, journal, consider what worked and what adjustments need made in my life. I appreciate the sacrifices you made to be vulnerable and write your book. I look forward to reading it. Blessings! i really enjoyed the post and looking forward to further posts. I dream of writing a book or a blog but I’m afraid I won’t be successful at it. I would like to write a Christian book or have a Christian blog but my lack of faith holds me back. I have faith that I may be encouraged by your posts. Thank You! This is excellent. Writing is a primary way I process life, and it’s so interesting to hear others discuss that. Thank You So much for doing this!!! I’m a new writer and I want to be authentic. I desire to hear my voice through my words and actions. I’m hungry for expressing my whole inner being in its rawest form. It is scary. I want to meet God at the throne and take my pencil to the paper with words that dance. Itt’s easy for me to fall into a preachy mode. This was helpful to understand how to be warmer and more real. Thank you Bonnie. Thank you for this inspiring post! The Lord has been speaking to my heart on finding my voice. I took the time to ask Him, what does this look like? He began to remind me, to be fully present to choose to focus the journey rather than the plan leads to breakthrough in truly being who He created you to be. The dream of His heart. He is still writing your story, He is still writing our story, and in the process we are growing and finding our voice. I am learning, the plan does not hold so much importance, rather being present in the process is what truly leads you to be prepared for what is ahead. Thank you for your inspiring words that breath wisdom that comes from the very heart of God. You are a blessing to me, and many others. May you feel His approving smile radiating upon your face always. this is new to me- not the writing, but writing so others can read what I write– scary doesn’t begin to describe it, thanks for letting me know i’m not alone. Hi Bonnie. Thank you so much for today’s post. 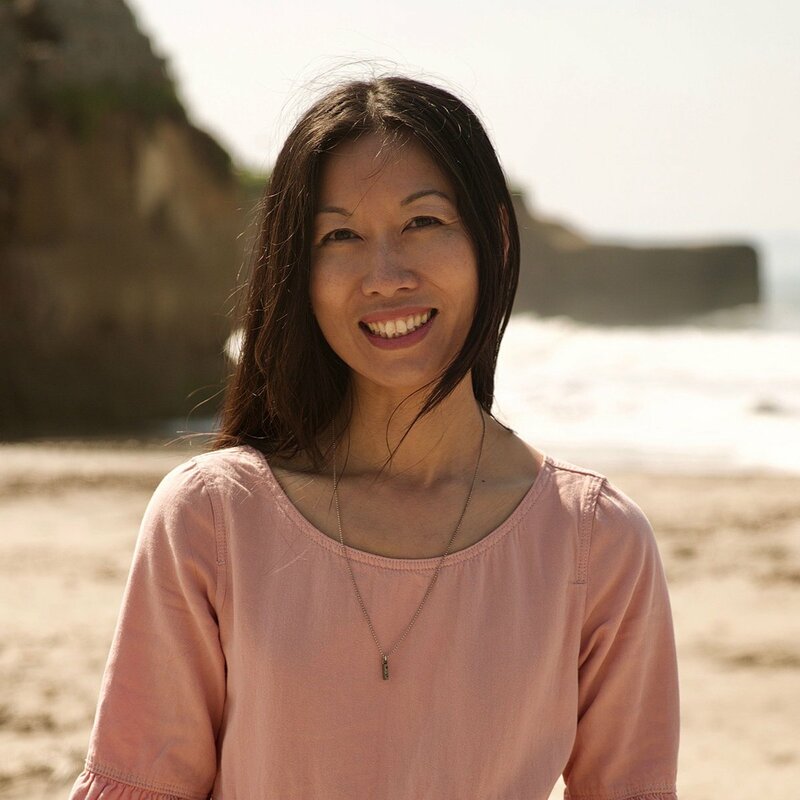 You have become my go-to author for advice about writing — not because I don’t know how to write (I was an English teacher and used to teach others how to do it), but because writing about hard stuff is a whole different animal — and I have found that no one really talks about how to push through your fear to write about the truth. I recently started a blog about self-worth — my journey to a healthy self-worth in Christ — and I literally feel that my head has detached from my body as I’ve attempted to write about memories and thoughts I never thought I would share. The emotions just keep coming with each post — and, unlike your story, I had anxiety in a different situation before writing — and am attempting to write about it, but it’s been reliving that anxiety. It feels just wrong to be so real after hiding things for so long. I came across a tip in Spiritual Whitespace (just started it) about letting readers see the unfinished me — and it sort of hit me that part of my emotions in writing is that I have been wanting the hide the fact that I am still in process. You’ve encouraged me to write as is — and that is what I appreciate about your writing. Keep the writing advice coming! I feel pretty embarrassed about the fact I used to teach it — but am struggling myself. Lol. I will never stop being grateful that you hit “publish.” While you were going through PTSD, so was I. The difference was that I had the precious advantage and honor of logging on to this blog. I knew I had a friend in the fire too and she was sharing her story…live. I can’t remember how I found your blog, but I do know that God led me to it at EXACTLY the right time. It seems like I am gushing, and I suppose that I am, but I adore your sweetness and honesty. I love the way you include others. Sometimes I feel that we (online friends in your community) are holding hands and dancing in celebratory circles over your book's accomplishments. I value your gifts of encouragement and vulnerability. You are a gift bestowing gifts to your sisters. Thank you. “For such a time as this…” I have come across your book and now your Facebook encouragement to write. I have my journal out again and I’m taking time to listen to His heart and my own. I look forward to reading through your book again in a reflective fashion with pen in hand. The first read was touching and inviting. Thank you for confiding in us. This time I will pause and explore the questions. Blessings! Thanks, Bonnie! Now for the book club, this Thursday!! Hope. The Thursday link is still open. Closes Wed night. 🙂 yay, beth!